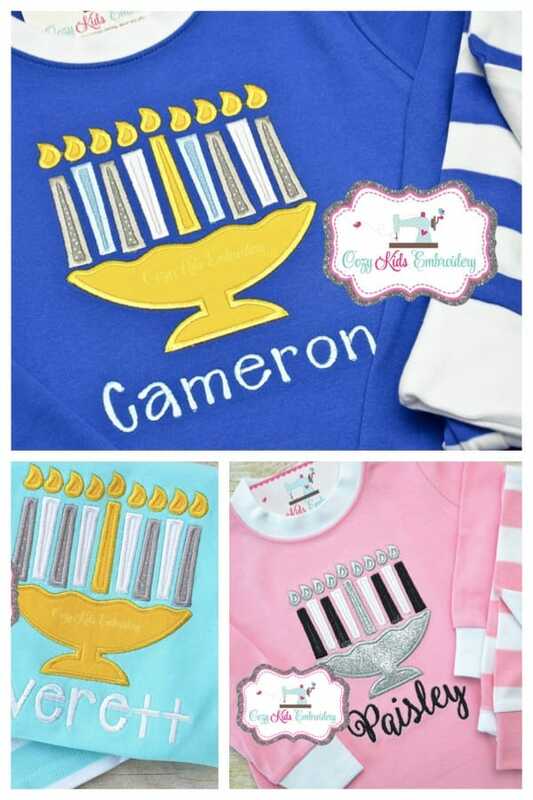 Hanukkah is upon us and it is time to start thinking about all the little details that will make this Chanukah both special and memorable. 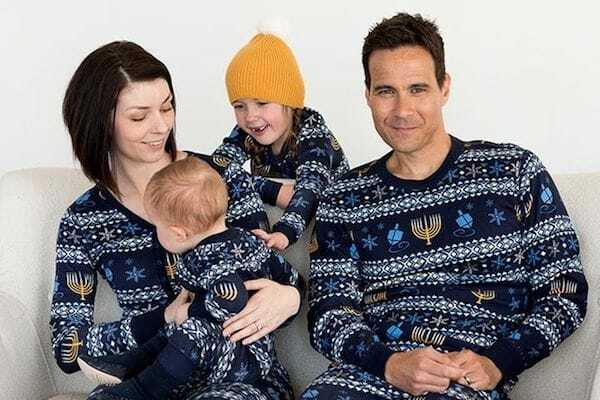 Whether a family pitter pattering around the house in matching Hanukkah pajamas is special, well that is unclear but there is absolutely no doubt that the vision will be memorialized in photos forever and always. 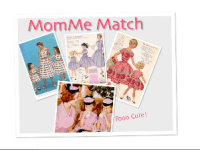 Please send us your family photos – they are sure to be too cute! 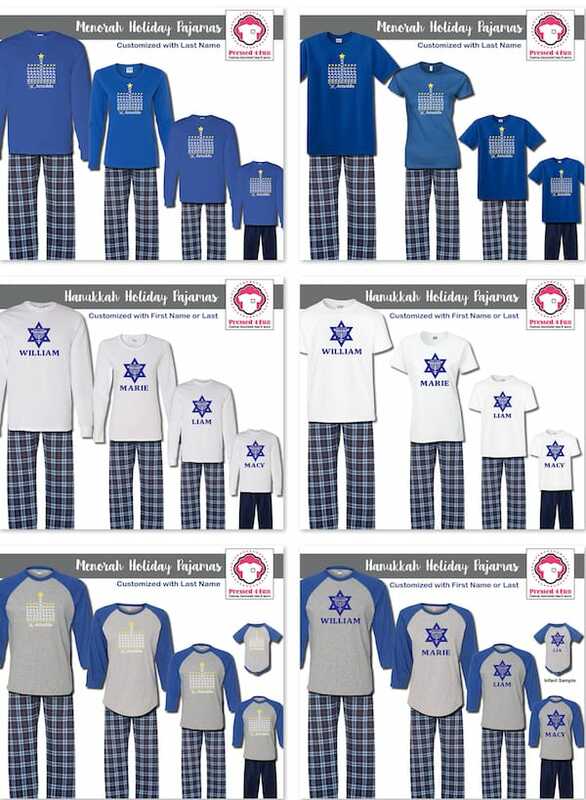 This year Chanukah falls early so do not wait until after Thanksgiving to buy your PJs!! 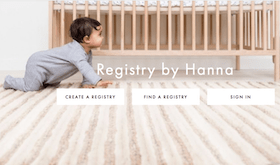 That will definitely be too late if you want them personalized. 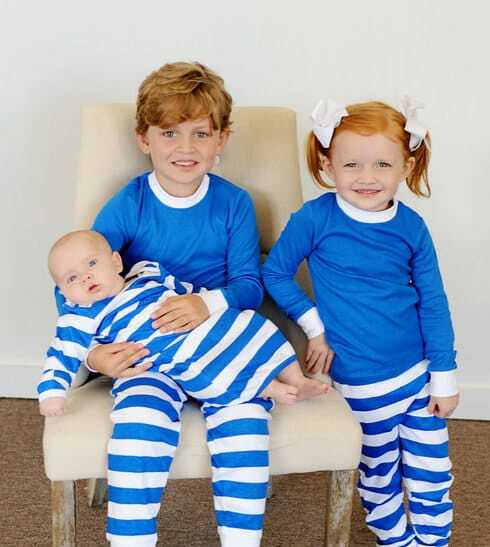 These blue & white striped pajamas can be personalized with a monogram or short name or even Chanukah appliqués! 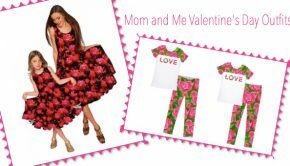 Plus, they are available in both kids and adult sizes! 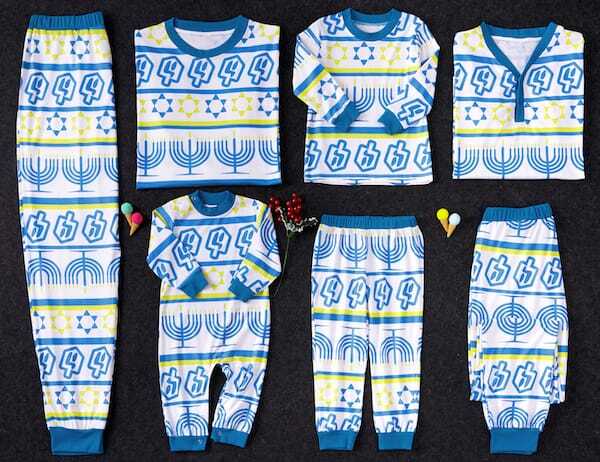 And remember, even though Hanukkah falls late this year, you still have to order your jammies early. 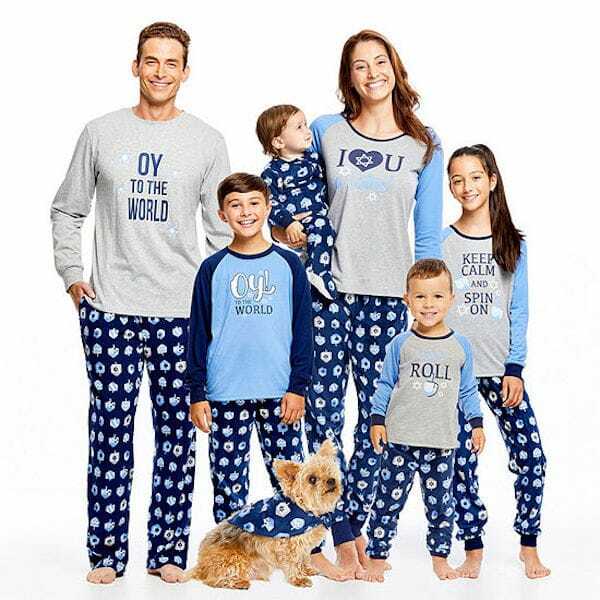 This particular shop says they do not take any orders after Thanksgiving so we recommend ordering as soon as possible, especially since it is so difficult to find family Chanukah pajamas at all, let alone cute ones! 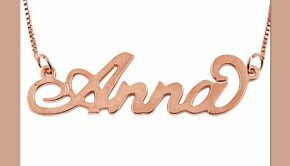 We are so so excited. 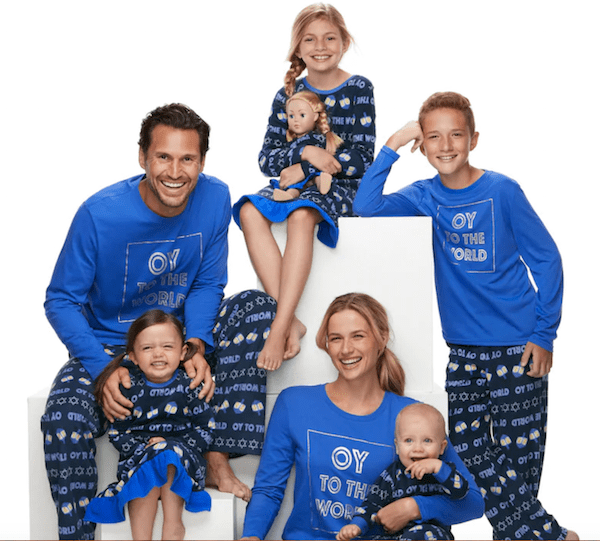 Hanna Andersson just released a collection of family matching Hanukkah pajamas! 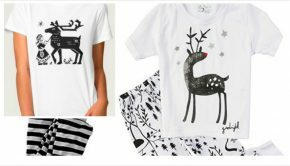 Sorry these are just for the kids but they are oh so cute! One more pair >> Warning, these go in and out of stock constantly. Sorry. 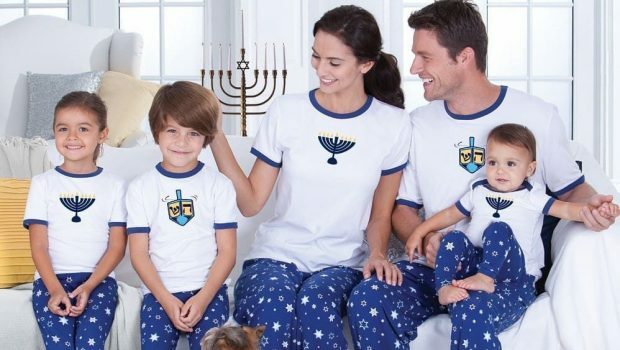 We are not sure if we should laugh or cry but we had to take a second glance at these adorable family Hanukkah pjs. 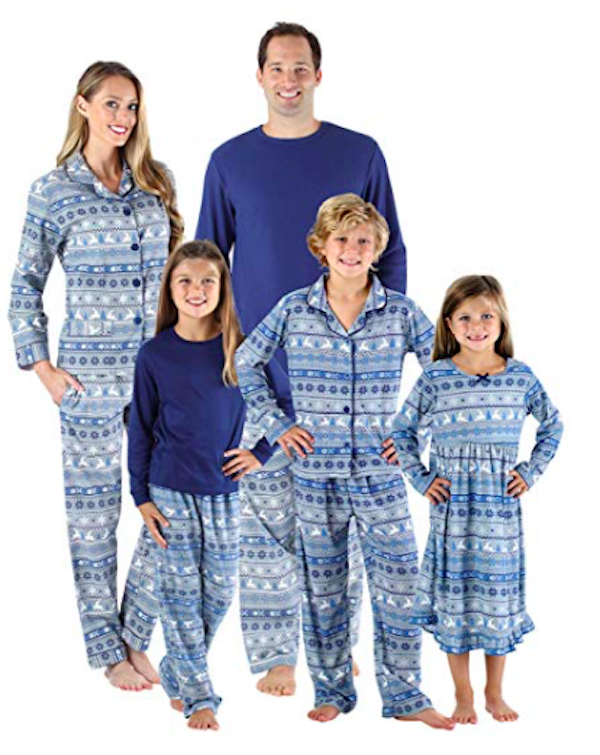 They were labeled “Abstract Factor Printed Family Pajamas“. Really? 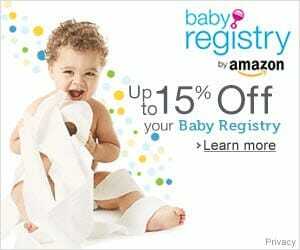 But they are adorable and you cannot beat the price at 77% OFF! 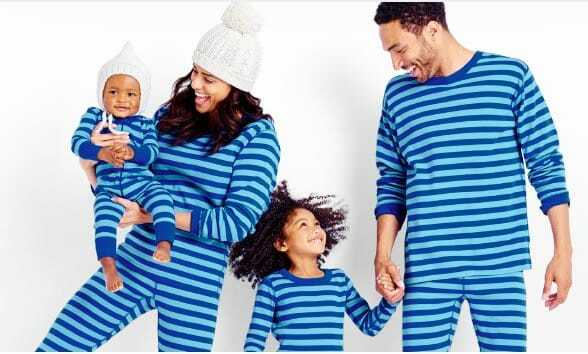 And the same company named these darling Menorah PJs “Bright Candle Family Pajamas for Christmas” but at 71% OFF we are willing to overlook their ignorance. 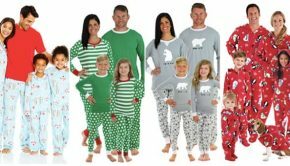 If you are looking for more family pajamas for this holiday season, our Matching Family Christmas Pajamas have many pajamas that are more winter than Christmas. 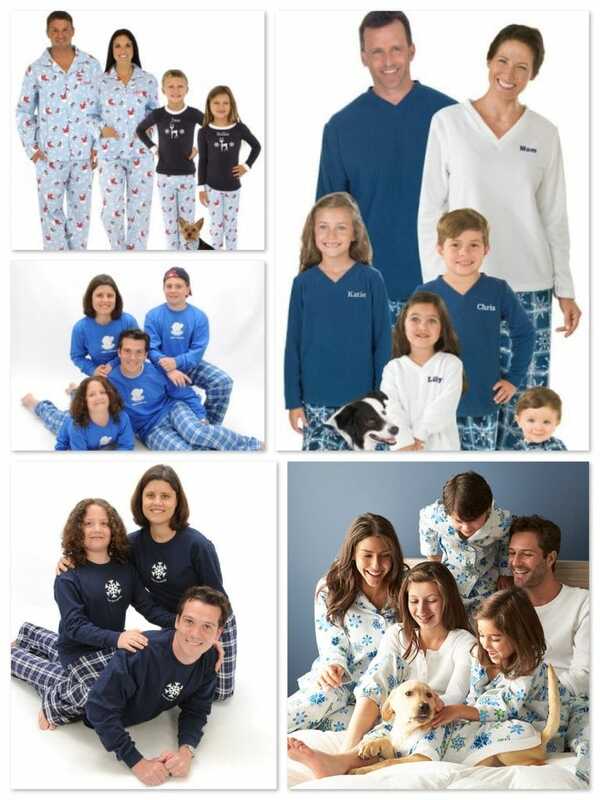 Think blue snowflake pajamas and beyond! 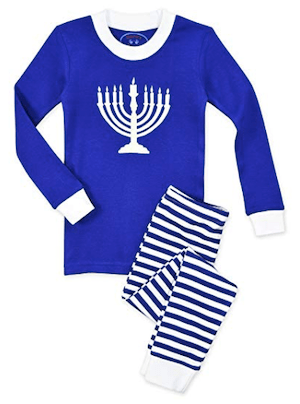 The Company Store has a new holiday pajama pattern in blue this year that could possible work for Chanukkah too! We consider snowmen more winter than Christmas. 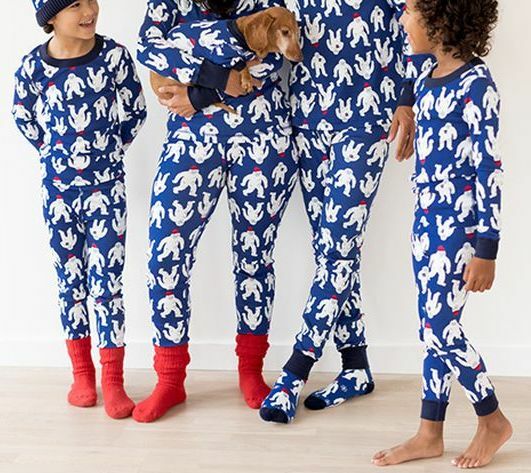 Likewise, these Sleepyheads Blue Snowflake Fleece Onesies could work too! 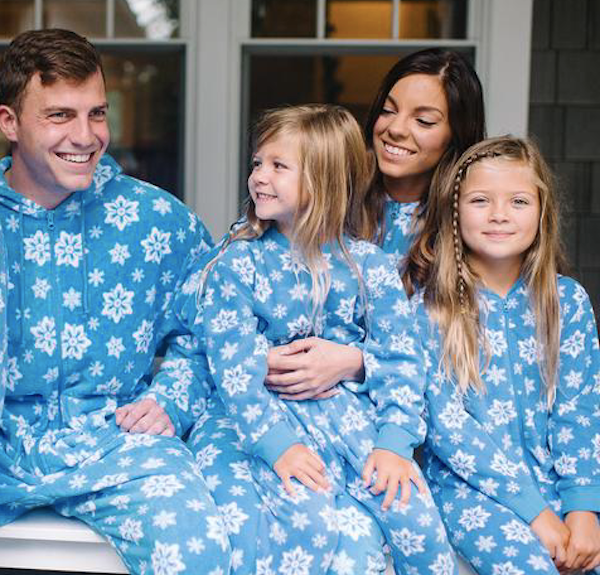 Blue Snowflake Fleece Onesie PJs >> Use promo code 18OFFPM for 18% off your order! Again, not quite Hanukkah but more winter than Christmas! 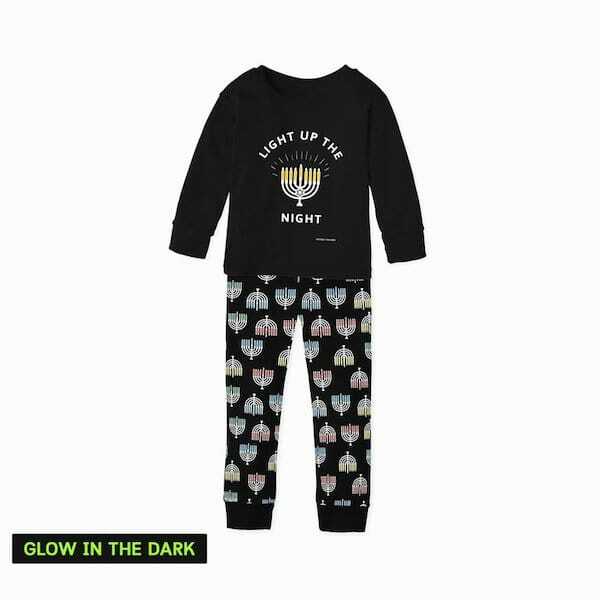 These technically are not pajamas but we thought they were too cute not to share! 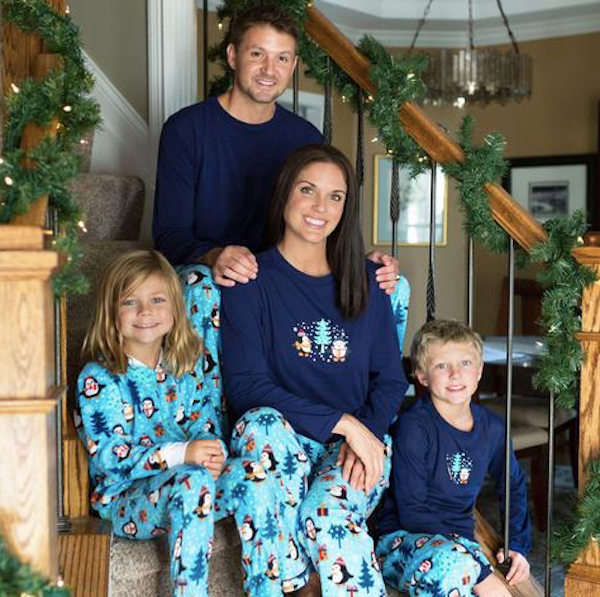 Don't forget about sports team pajamas for mommy, daddy & me! 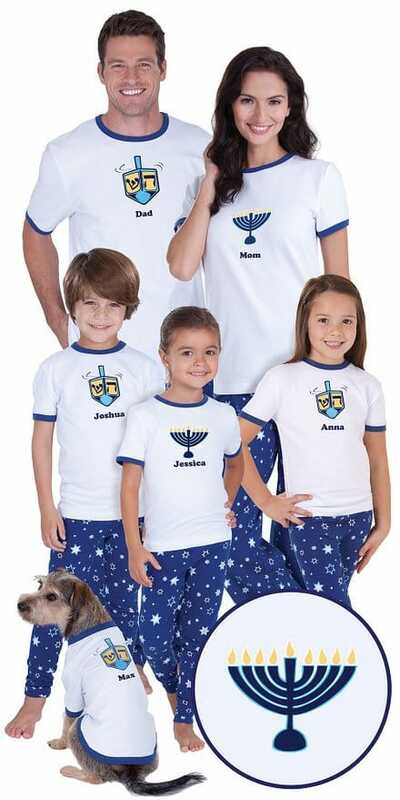 Summary: Matching family Hanukkah pajamas for mom, dad, and kids of all ages. 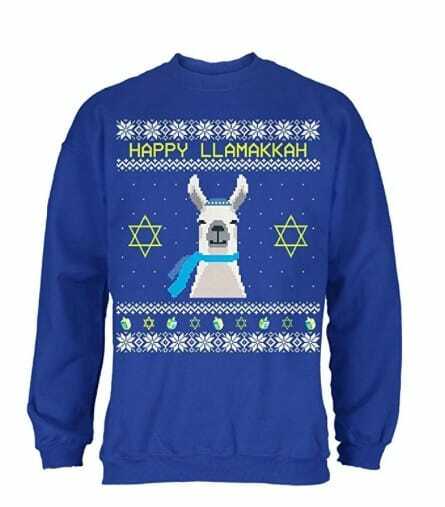 Put them on the first night of Chanukkah and wear them every night for the next 7 nights. We promise, you will treasure the pictures forever. 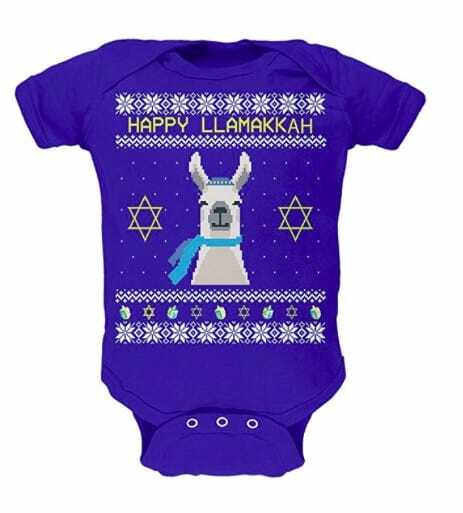 They will also make great Hanukkah photo cards! 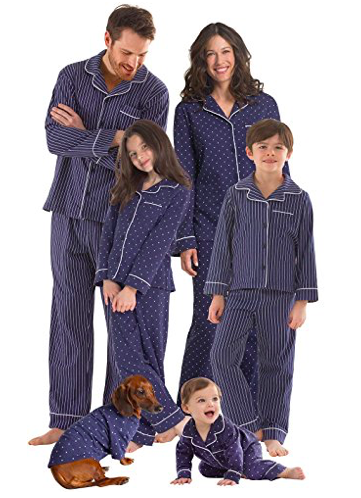 I’ve been keeping my eye on the pajamas from Target, but for some reason, they don’t have mens! 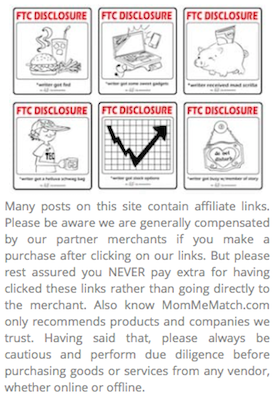 They don’t even show up on the website. 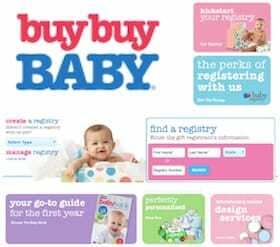 They have womens, kids, toddler, and infant. No mens. We just checked, too. 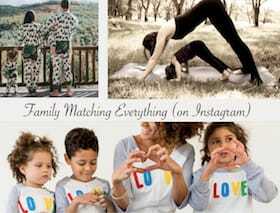 You are so right even though the photo depicts kids, moms and dads. 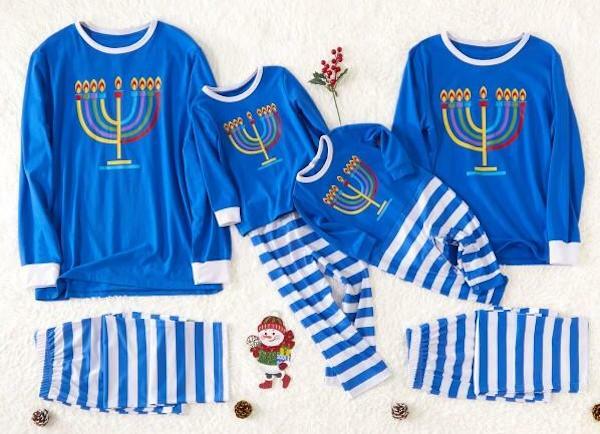 It does not seem as if Target is stocking men’s Chanukah pajamas. 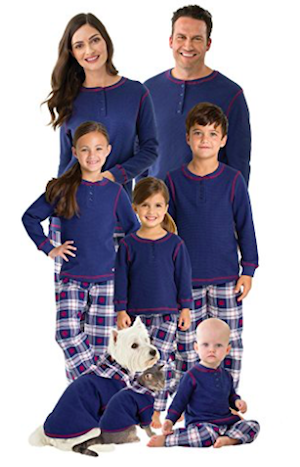 They do offer the women’s PJs in size XXL which may actually fit some dads. 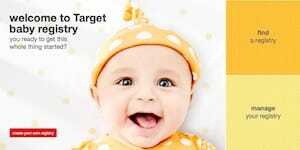 It might be worth taking a chance and ordering them since returns are so easy at Target. Thanks for letting us know!